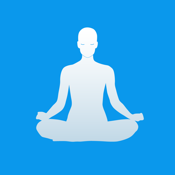 "This app is an amazing de-stressor. Very happy with my purchase!" "Really intense meditation. It was like I've tried before, but I absolutely loved it! "This app is a great way for me to unwind after work." Everyday it is important to take a break from our busy lives and engage in some deep relaxation. Relaxation is key to decreasing stress levels and maintaining a healthy and happy state of being. Many chronic diseases are stress related and completely avoidable. By utilizing the cutting edge relaxation techniques in this app like Hypnosis and NLP at least once a day, you can dramatically lower stress levels and live a healthier life. DOWNLOAD Ultimate Relaxation Hypnosis NOW and Start Living Your New Life Today!